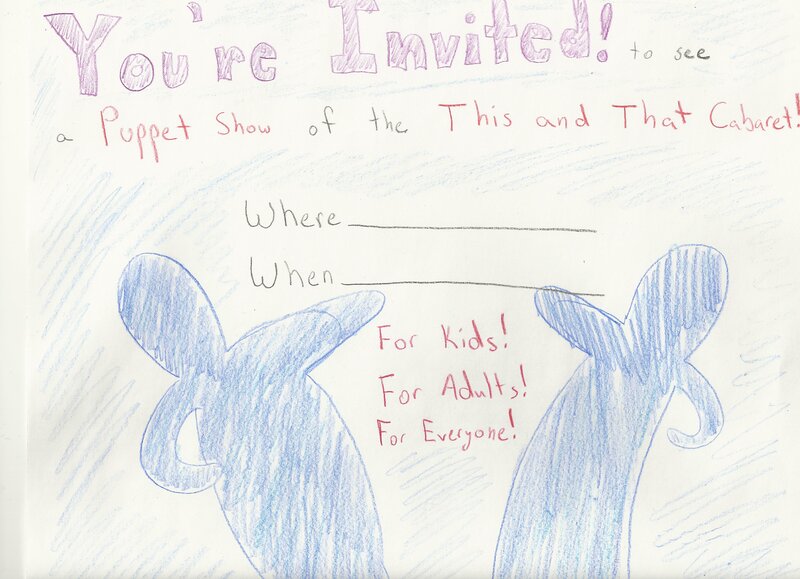 You Can Host a Puppet Show! Mr. E…you’ll never know his last name, but you’ll see a lot of him. He is the host of the This and That Cabaret, and he will work to collect stories of joy or jokes from those who see the show! This is his first day of rehearsal in Fargo, ND. Pictured above is Mr. E, the emcee of the This and That Cabaret. 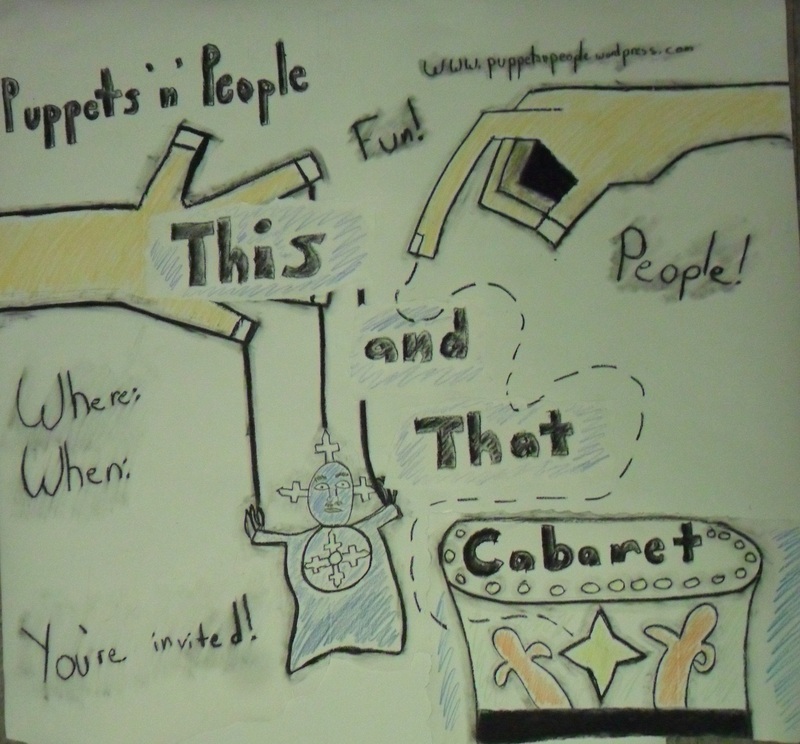 The This and That cabaret is a puppet show that is a project of Puppets ‘n’ People. It is for children, for adults, and for everyone! This variety show features hand-made puppets, poetry from Wordsworth, Thoreau, Linnea Nelson, and Li Po, and includes comedy sketches and a full Punch and Judy puppet show. The idea behind the show is to spread joy wherever it goes. The puppet show ends with Mr. E interacting with the audience and interviewing them to ask what the happiest moment of their lives was. These memories will be compiled later on by Puppets ‘n’ People into a Joy Book. This book is similar to a joke book, but it is meant to share everyone’s joys. 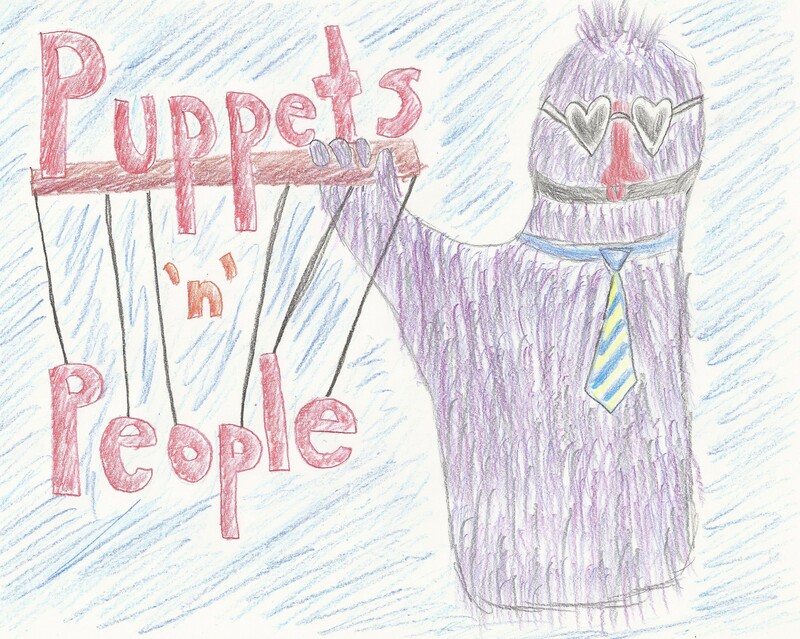 More information on this project is available at www.puppetsnpeople.wordpress.com. If you are interested in hosting a puppet show you may contact Seth Eberle at 701-214-1587 or email him at seth.eberle.1@gmail.com. Are you interested in hosting this show? If you have a performance space, it could be a back yard, garage, living room, theatre, coffee shop or any place that has comfortable seating and a place where I could set up a suitcase puppet show. Preferably it would be out of the wind and rain! There is no charge for the puppet show, but I will pass the hat after each performance so that anyone who watched may pay what they can. That way I may continue to support the Puppets ‘n’ People US Tour. You will inevitably want to tell people that the This and That Cabaret is coming. How can you do this? Hang posters! Send flyers out to your neighbors! Invite your friends the next time that you see them. Invite your neighbors! Invite your family! You may download and use the posters below to advertise the show. If you would prefer, you may also make your own. Please make sure that they are hand drawn and include all of the information below. Print this poster or the one below to hang up or hand out. Be sure to write in when and where the puppet show will be. You can print and hang these posters. Feel free to alter the size. You can print this and give it to your friends as personal invitations!